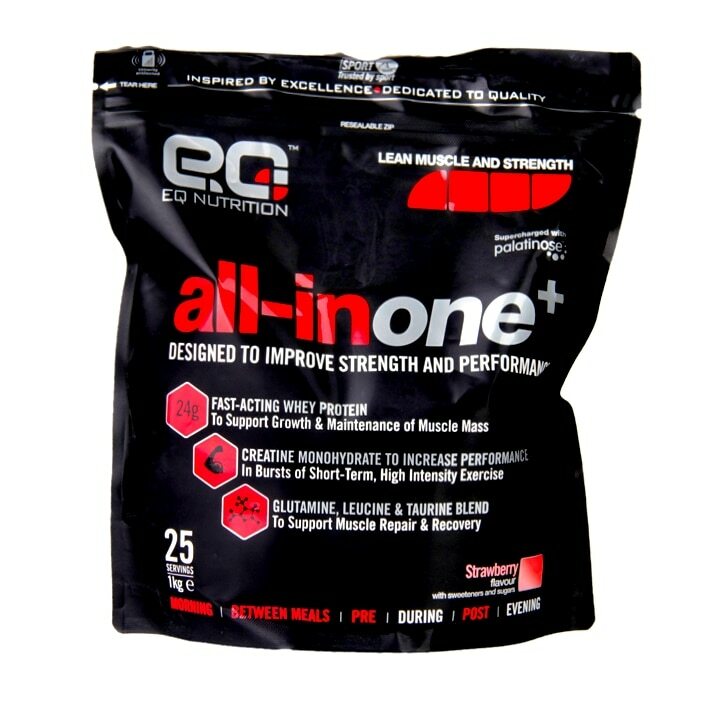 EQ Nutrition All In One+ Strawberry is rated 5.0 out of 5 by 4. Rated 5 out of 5 by DRHF from This is Amazing stuff As a person in the medical field and a gym-goer, I have tried a few supplements (natural only) in the past to boost my gym-ability. things have worked to a degree in the past. but I believe in hard work and a bit of protein on the side if not getting enough in your diet. But this stuff (having read all about it) is amazing. after a heavy session last night, had a good night sleep and woke up with 10% of the normal ache and pains I would have. I am bouncing off the walls with energy and after a long day at work (finishing 730 pm) I will be going for a swim (60 lengths). This stuff is impressive. taste is good. after taste is good, devolves easily and as it says on the pack, all in one with normal and natural body proportions. Rated 5 out of 5 by StongAndOld from This ticked all the boxes This is a great All in One products that has made my life very easy by adding all of the most important ingredients for my bodybuilding goals. Choclate flavour was very good, one of the best I've had.